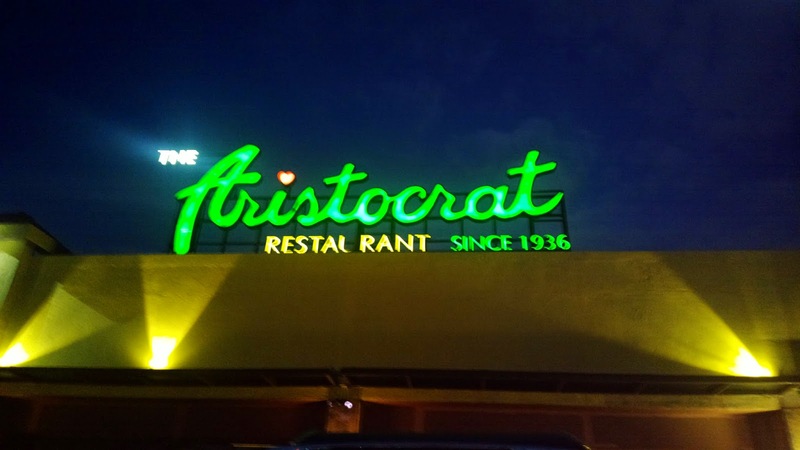 Aristocrat is a favorite restaurant of my husband’s late aunt. 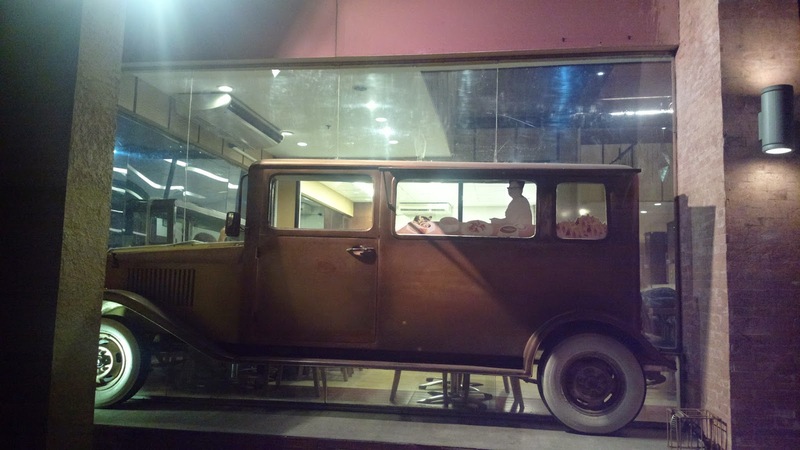 Whenever we pass by the Malate branch along Roxas Boulevard, he would always tell stories about his aunt would bring them during special occasions or celebrations or whenever she feels like dining there. So he wanted me to have a “feel” of the place too and sample their dishes. And so we dined one early evening. Wearing at least something more presentable than my usual t-shirt and shorts ensemble with slippers, we were greeted by similarly well-dressed usherettes that night. We took the entrance adjacent to their bakeshop so the pastries were the first thing I actually wanted to try. I saved that after dinner though. The bakery is also beside a section for reserved special events I’m guessing. We obviously went to the open area where we were ushered to seat. Glancing everywhere, I instantly noticed how the place was filled with people even if it’s not a weekend. Most looked like business folks in a dinner meeting while many are the elderly with their entire family dining. There was even an extra guest on the ceiling. Was that a bird? It’s a billit balay as well call it in Ilocano; birds that visit and even live in houses. I hope it doesn’t live there though. I was expecting the food to be delicious… and it was! 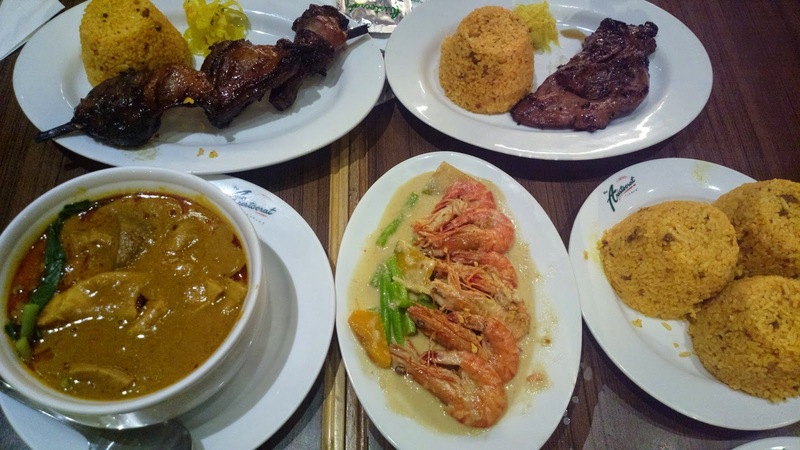 We sampled a combination of dishes in seafood, meat, and chicken. Every one of them was absolutely flavorful, particularly the marinated and barbecued chicken. There is a distinct taste which I haven’t tasted anywhere else. Even their pastries at the bakeshop are a food lover’s delight. No wonder why Aristocrat had been in the industry for over 75 years. As for service, it was great from the moment we stepped through their doors till we drove out of the parking area. For more information on Aristocrat including the menu and branch locations, see www.aristocrat.com.ph.